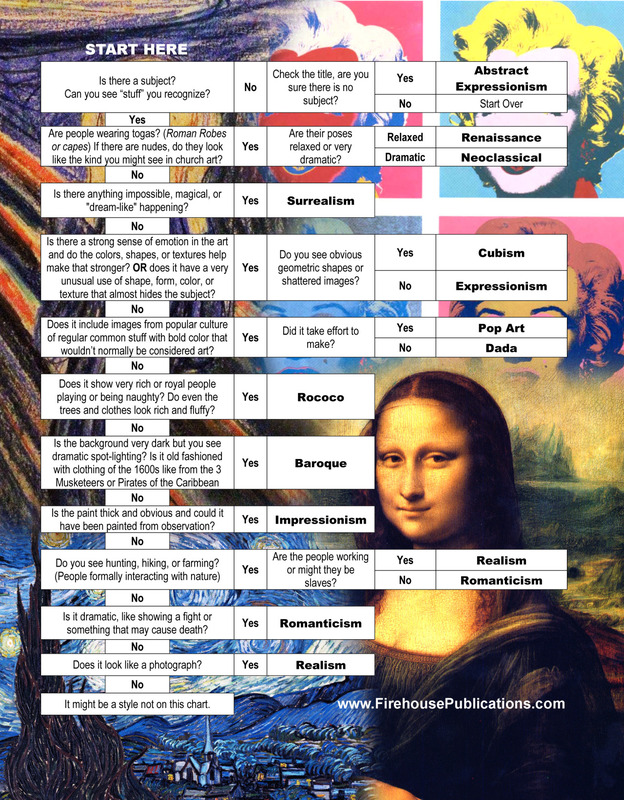 This is simply amazing and an answer to my art history prayers. I can not believe I am looking at this flow chart today! Thank you. Thanks for the flow chart cheat sheet. I'm a self educating art student. Whenever I am stuck on a project, I like to spend my time studying art history. I love the way this chart is set up to engage critical thinking. Brilliant. This is amazing! Love this so much! This will help dummy it down for my high school kids. I would love to download this awesome reference for my kiddos, but the link isn't working on my end. Could you possibly send it to me by email? I am trying to access the flow chart but it will not allow me. Is there any way I can access this? Can you fix this link? I'd love to have this poster. The link does not work. Please send if you can. Thank you. I would love a copy of your poster. I cannot get the link to work. Thank you! Absolutely inspired! Really impressed. This will not only help kids but me too. I love this idea. Thanks so much for sharing your epiphany with an aficionado!